7 Places To Find a Place to Volunteer Abroad for Free | Perfect For Digital Nomads! 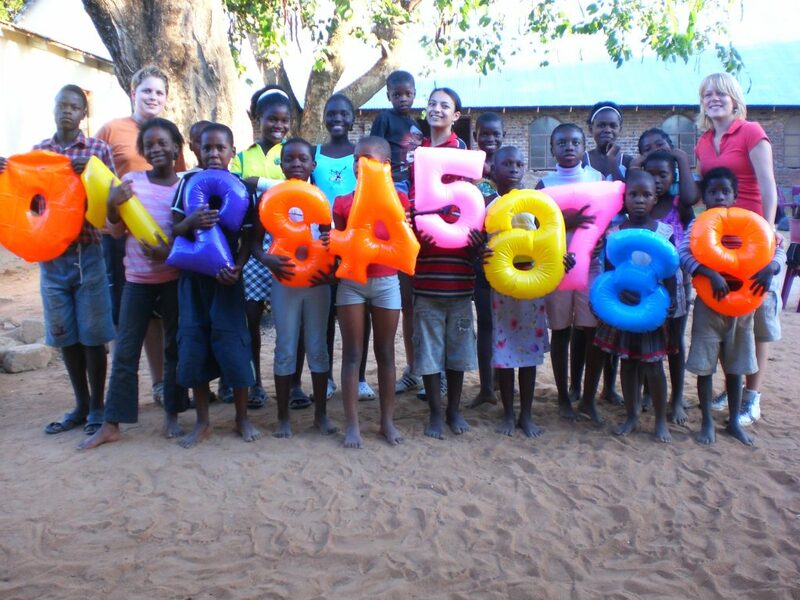 Are you looking for a place to volunteer abroad for free? Then this may help you on your way! The below 7 websites are great places where you can find farms, hostels, families or any other location you can think of, where you can exchange your work for a free place to stay. So, you are a digital nomad looking for an affordable place to stay? Or you want to take a gap year and not burn all your money? Or you’re tired of backpacking and want to stay a few weeks in the same place but not burn all your cash? Then finding a volunteering spot is a great option! Unfortunately, if you go out searching for volunteering spots, you often find very expensive programs. You have to pay large sign up fees and deposits, weekly housing fees or even more. And you don’t even know where you going to end up! Of course there are some reliable programs, but it always held me back. 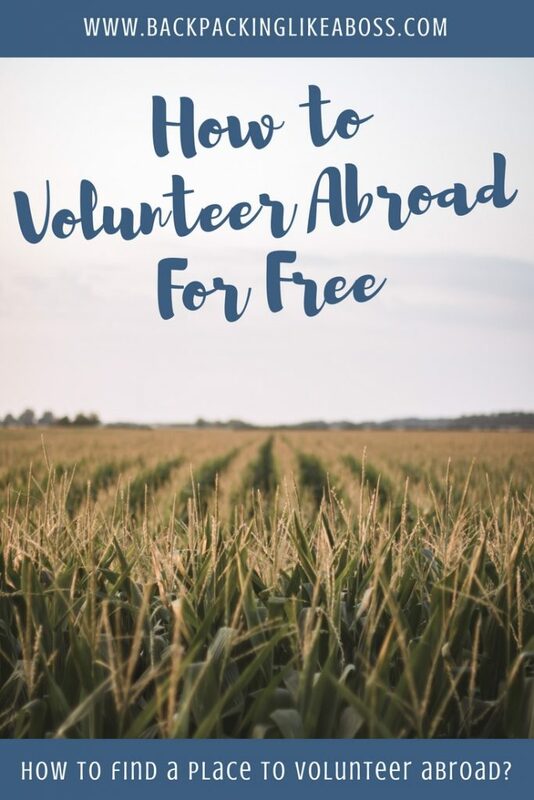 The good news is, you can volunteer abroad for free! Check out these 7 places. Workaway is one of the most well-known to find volunteering and work/travel/free accommodation combinations. They are the world’s leading community for volunteering, working and cultural exchange. You can stay, help and connect with over 31052 active hosts from 170 countries! You can search per country, per month you want to stay, per topic (farm, hostel etc) and you can also filter on for example internet access or smoking. Browsing and finding good places to stay is 100% for free. All they ask for is a $32 sign up fee (if you’re by yourself). You then have an account for a year and can apply to all projects you would like to stay at. I think this is a very deal, as they have so many opportunities! After the sign up fee, you don’t have to pay to stay at any host anymore. 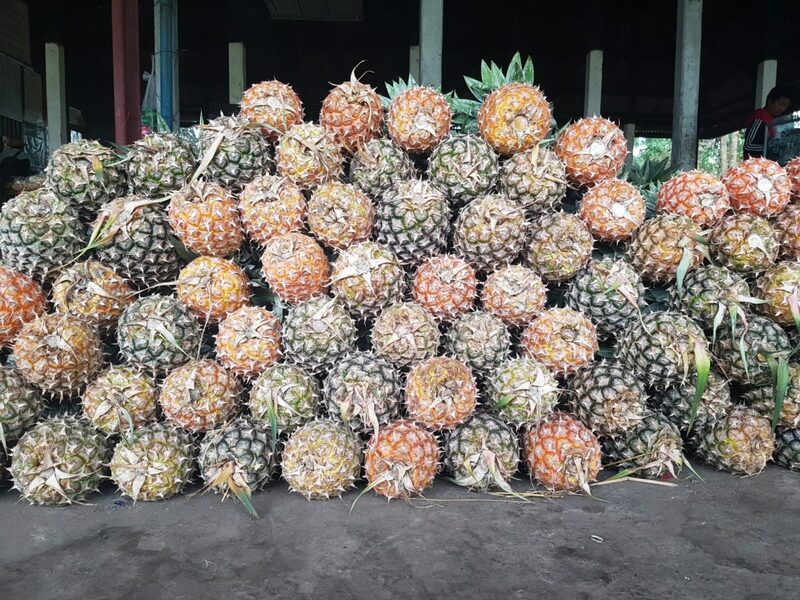 WWOOF is a worldwide movement linking volunteers with organic farmers and growers to promote cultural and educational experiences based on trust and non-monetary exchange, thereby helping to build a sustainable, global community. You can work on a farm in exchange for accommodation and often food you picked yourself. There are no hostel or cultural volunteer positions here, it’s really about farming. The WWoofing community is worldwide and you have to become a member per country. All countrie have their own websites. The fee for most countries is €25. Helpstay is a website where you can look for volunteer positions across the world. The website features hostels, farms and much more. You can visit Spanish equestrian centres, help out in small villages in Kenya or volunteer at perma culture farms in Australia. The membership for this site is $20 for a single membership. You can become a “free” member and have a look at all the listings. Hosts can contact you, but with the free membership you cannot contact hosts. For $20 for 2 years, you become a premium member and get all access to the site. Volunteers Base is a moneyless help exchange network – there are no fees for looking for volunteer positions. Many volunteer positions offer free accommodation and sometimes food / transport. They website looks a bit outdated, but there are many opportunities listed. Worldpackers allows you to find opportunities in more than 100 countries to travel exchanging your skills for accommodation. There are quite some hostel opportunities listed, and you can also filter on eco or social opportunities. The website is fresh and new. I really wish I had known about the opportunity to volunteer like this when I was a digital nomad looking for cheap places to stay. I would have loved working a couple of hours on a farm, and then do my digital nomading work in the afternoon. There are a couple of reasons I think that volunteering is great for Digital Nomads. 1. It helps you save money on accommodation and food – Accommodation is often a large part of the budget of any traveller. So, not having to pay for a place to sleep can either really extend your budget, or gives the benefit of not having to work too much as a digital nomad. If you work on a farm or in a remote area, the host will often supply you with food. 3. It gives you time to develop your skills – Are you just starting out as a digital nomad? Then volunteering is not such a bad idea 🙂 . Because you keep costs low, you give yourself more time to develop your skills and experiment with what you like. You have some free hours everyday that you could spend on applying for remote jobs or following an online course.